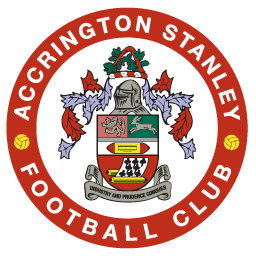 Accrington Stanley Football Club were formed in October 1968. 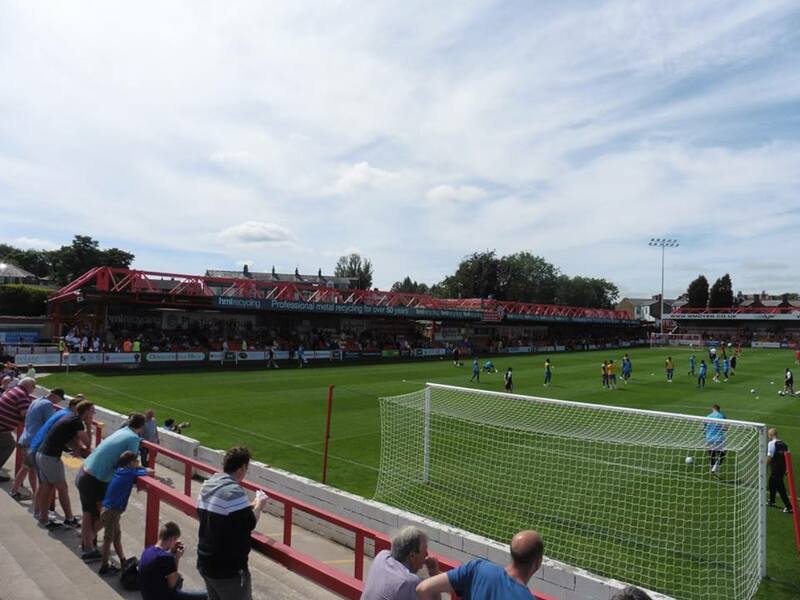 The town of Accrington had been without a football club for a couple of years following the demise of the original Accrington Stanley. The original town club Accrington FC, were amongst the twelve founder members of the Football League in 1888, before resigning from the league after just 5 years. A team called Stanley Villa already existed at the time and with the demise of Accrington FC, Stanley Villa took the town name to become Accrington Stanley. 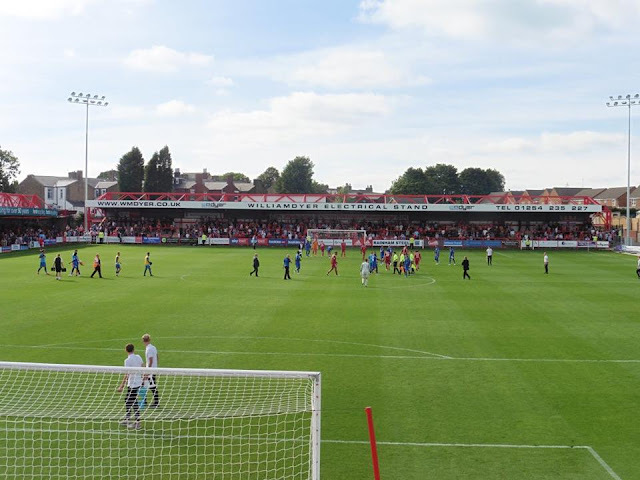 Since reforming in 68, the clubs first trophy success was both the Lancashire Combination Cup, and the Combination League Cup, defeating Ashton Town and Nelson in the finals. In 78, the club once again won the Lancashire Combination, also saw David Hargreaves move to Blackburn Rovers who scored 318 goals for Stanley, a record that still stands today. 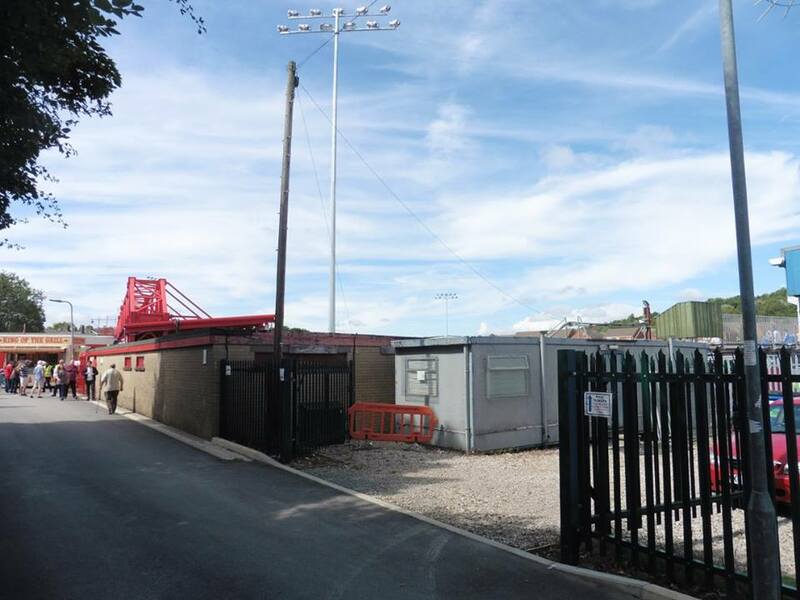 In 1990-91, the club was promoted to the Northern Premier League First Division after the resignation of South Liverpool. In 1992-93, the club reached the 2nd round proper of the FA Cup. A Paul Beck hat-trick secured victory over Gateshead in the 1st round, watched by 2,270 at the Crown Ground. 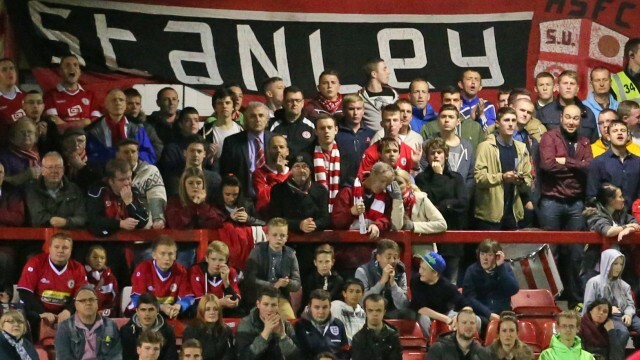 In the 2nd round, Stanley lost 6-1 against Crewe Alexandra which was played at Blackburn's Ewood Park which was seen by 10,801. After winning the Northern Premier League in 2002-03, the club were promoted to the Football Conference for the 1st time in the club's history. The club's 1st game was away at newly formed Aldershot Town live on Sky Sports, with Stanley resulting in a 2-1 loss. 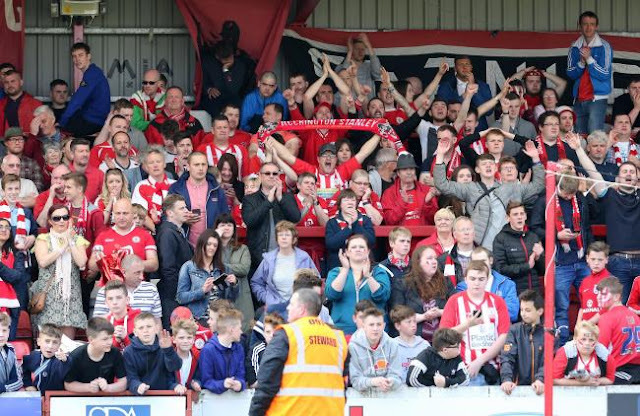 The season was a success though as Stanley finished 10th in their 1st season in the Conference. Stanley were promoted to the Football League in 2005-06. 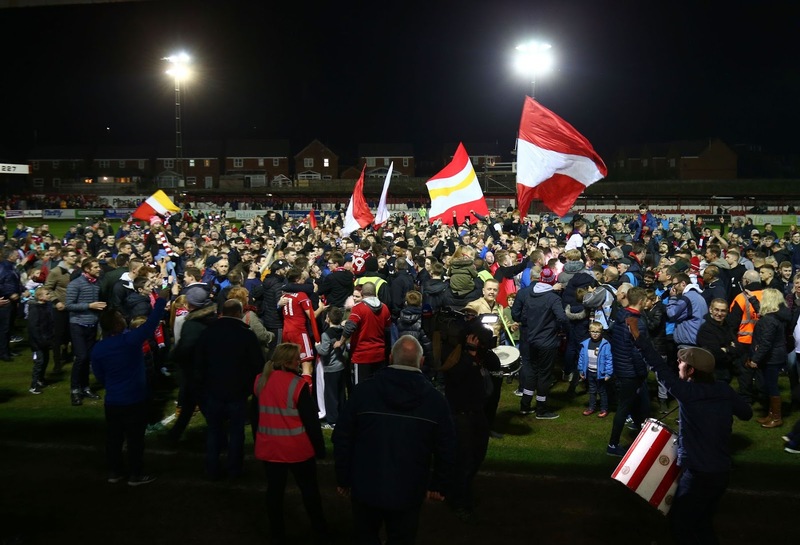 Finishing on 91 points, the club went on an unbeaten run of 19 games stretching from October to March leaving the club an easy passage to League Two. 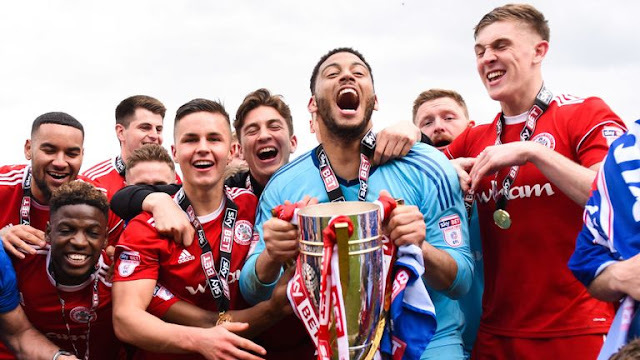 And it was a historic season for the club in 2017-18 as the club were promoted to League One after winning the League Two title. Stanley only suffered 5 successive defeats at the end of 2017. They won the League Two title on 93 points from 46 games. The famous Accrington Stanley milk advert. 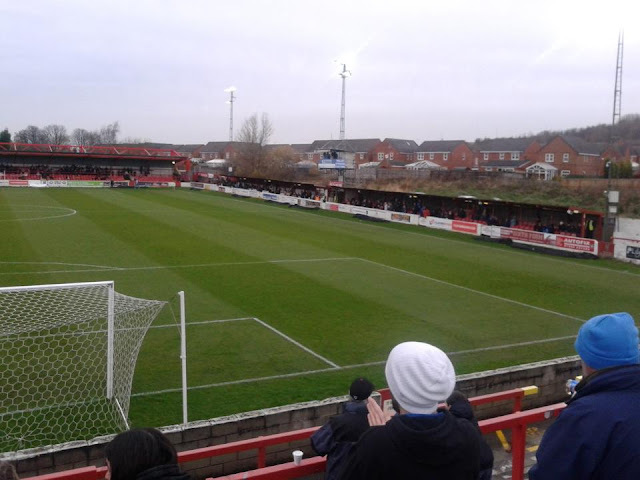 FIRST VISIT TO ACCRINGTON STANLEY, WHO ARE THEY? EXACTLY! 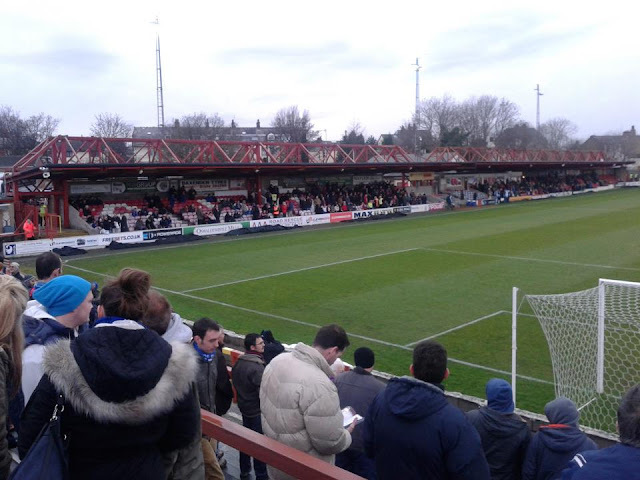 My 1st visit to Accrington came in 2012, which also happened to be the title winning year. I remember this day very well, as I went by coach, and I remember in the 2nd half of the game getting absolutely drenched whilst watching our keeper Stuart Nelson getting sent off and seeing the dreadful Tommy Forecast in goal, and literally hanging on for a point afterwards. 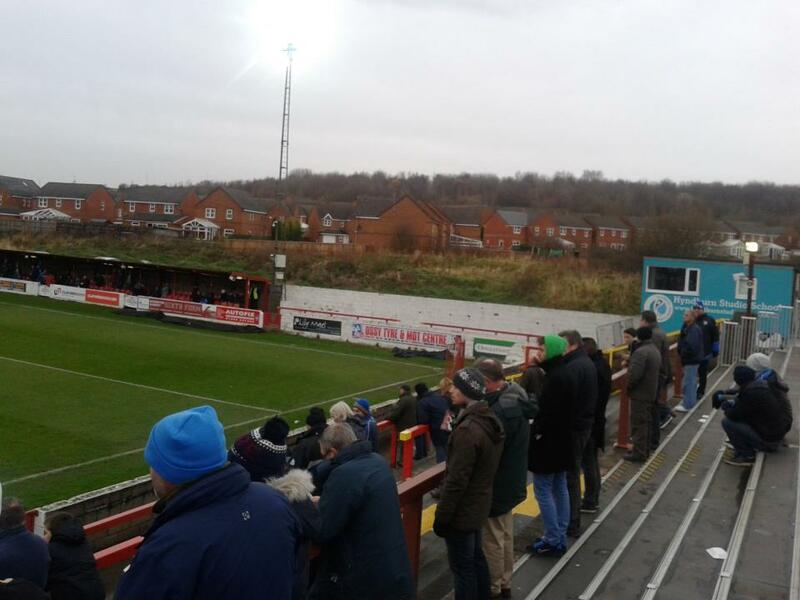 The ground itself, I suppose a lot of people will say it's a typical non league ground, but in a way I quite like it. It's a shame there isn't a roof on the away stand, but as long as it doesn't rain too much and it isn't too cold either, you'd be alright. Would happily go again anyway. 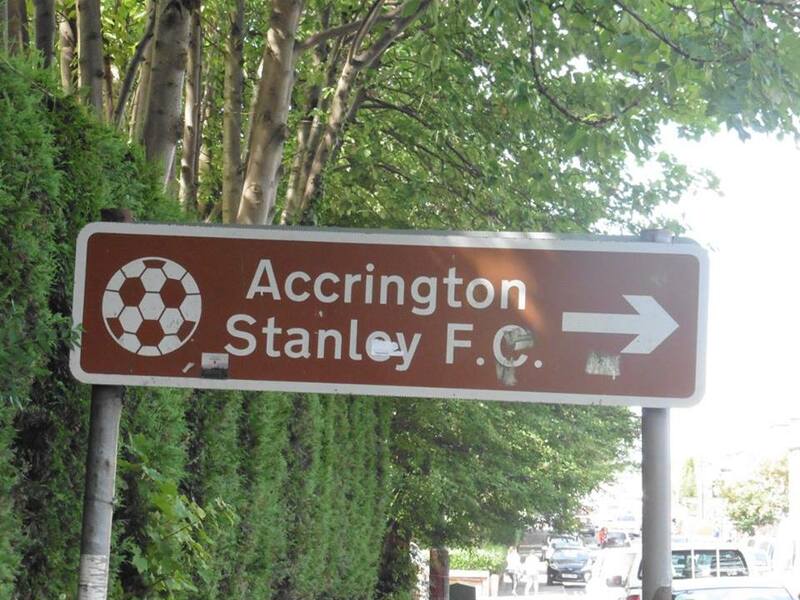 Accrington Stanley, Who are they? Exactly! The season is back, and I do believe it's come around really quickly which of course has helped with the World Cup, and England reaching the Semi-Finals for the 1st time since 1990 which was an incredible achievement. 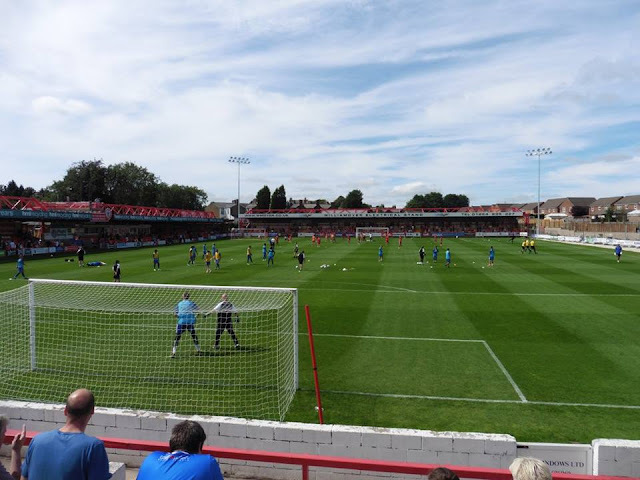 I was looking forward to this one as I hadn't been to Accrington since 2012, and only been once, I felt the blog could do a little bit of updating. 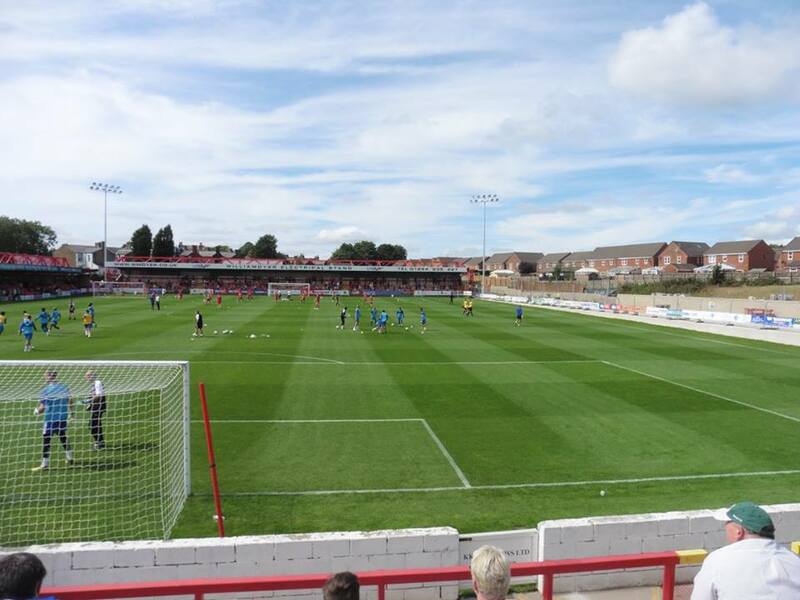 When the fixtures got announced, it was nice to see us start at Accrington for the 1st game. I wasn't majorly fussed who to play 1st, as sadly I have no new grounds in League One for the forthcoming season, but Accrington away 1st game I'll happily take. So after finishing work on Friday night, I was back up just after half 7, and left an hour later. After leaving Euston on the 10.30am train, and going fairly slow between London and Watford due to speed restrictions (god knows why and was a tad annoying) I arrived into Preston fairly late but still arrived into Accrington in good time. I arrived at the ground just shortly after half 2. 418 Gills fans at Accrington and was nice to see the usual bunch since May. The game itself, always going to say this but the 1st half was a cracking 1st half. 2 very good well worked goals, a simple tap in for new signing Brandon Hanlan scoring his 1st Gills goal in his career, followed by a brilliant cross by Luke O'Neill which saw Josh Parker head home. Accrington had the odd chance here and there, having one cleared off the line, but felt we defended well at the time and caught them out and attacked them very well. 2nd half was a bit non event and the game slowed down, but it was enough to the start the season with 3 points. A game I would have been happy to take a draw from but a win was superb. 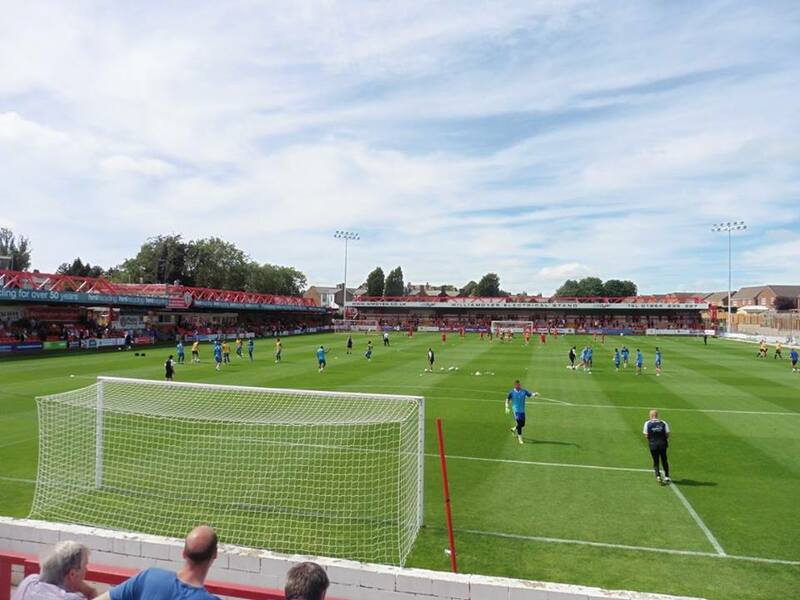 I also got chatting to a neutral fan at the end of the game back at the station, although he was in the Accrington end, he said the way we was playing, he ended up cheering us on! Which was also nice to hear. Following a short journey back to Preston, was also nice to see the Wimbledon players at Preston station after they won themselves 1-0 at Fleetwood. I quickly said hello to Waggy (Scott Wagstaff) who left us in the summer after being released but he seemed to be happy enough at AFC. Also nice to see ex Gills lads in Andy Barcham and Deji Oshilaja as well. After leaving Preston at 7pm, I arrived home shortly after 11pm. A great day out and fantastic to start the new season with 3 points. 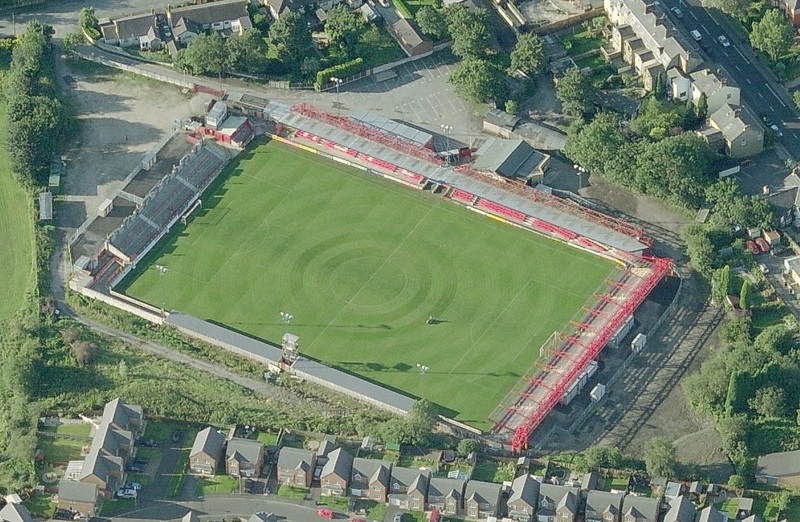 Since leaving the old ground Peel Park, the club has played at the Crown Ground since the reformation. 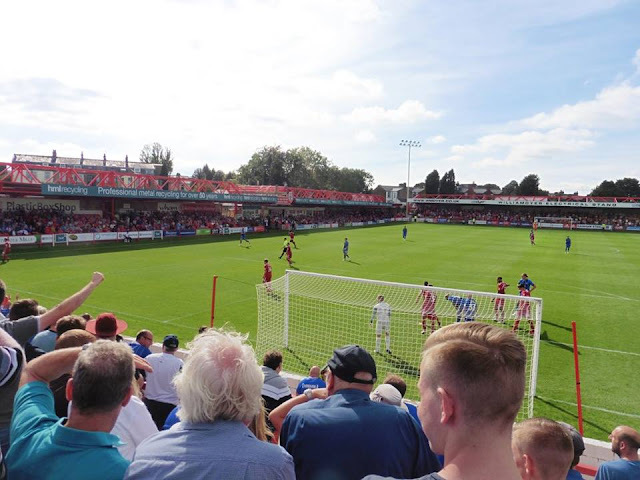 The ground holds 5,057 and had a record attendance there of 4,753 in April 2018 against Lincoln City which saw Accrington win the League Two title. 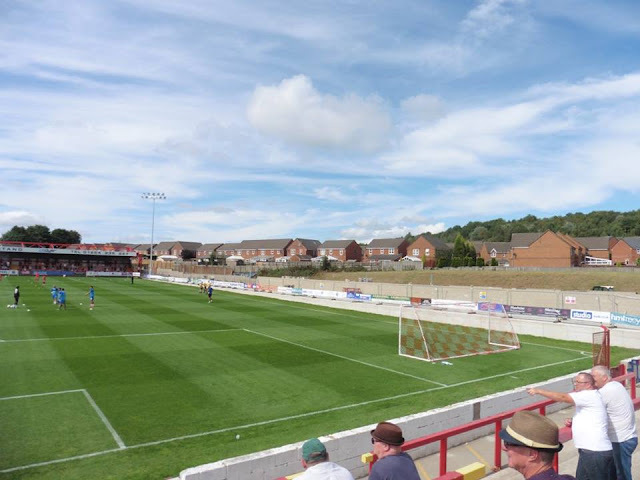 Away supporters are housed in the Coppice Terrace Stand which is behind the goal of which up to 1,800 supporters can be allocated. Also there is a seating stand on the side of the pitch which away supporters can be allocated there as well. Accrington train station is around a 20 minute walk from the ground.